This sign I discovered at the walls of the former castle of Graz named Grazer Burg. It is placed next to the famous twin spiral stairs. 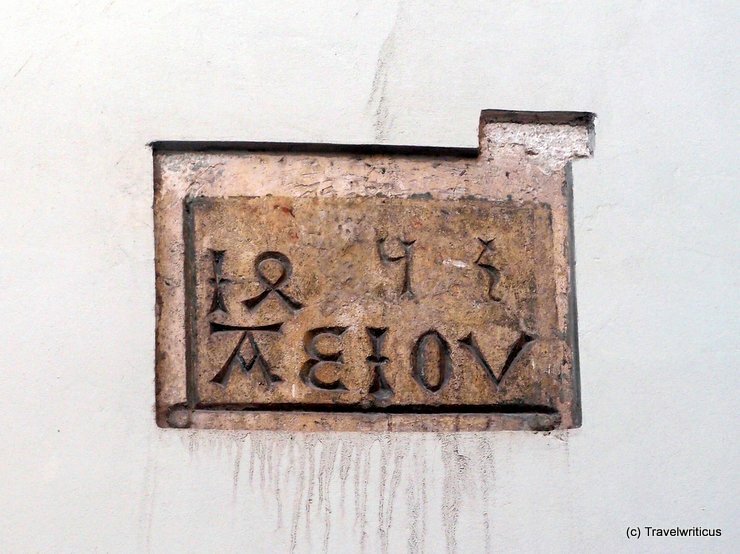 By the way the same combination of letters I also saw at a sundial in Merano. This entry was posted in Signs and tagged Austria, Graz, Styria by Travelwriticus. Bookmark the permalink.